Quite often the grounds in your business are fundamental in creating the ‘first impression’ of your company that is so vital in business nowadays. The exterior of your building and its grounds is on public show each and every day, so make sure you create the right kind of impact on your clients and visitors. Here at DCS Multiserve, proven leaders in providing unparalleled attention to business sites, we can offer your businessa full grounds maintenance package that is sure to impress. Our clients demand the best and that is exactly what DCS Multiserve delivers consistently. 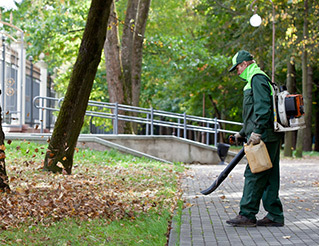 With a grounds maintenance package from DCS Multiserve, your business will always look at its prime. We offer solutions that are environmentally aware, balancing the quality needs of the client with the environmental issues that we must now take into consideration when carrying out our work. 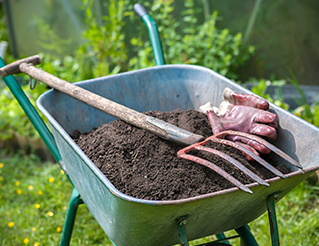 DCS Multiserve can offer integrated solutions to your Grounds maintenance needs, reducing inefficiencies and maximising the cost-effectiveness of our working relationship. Our project experience and systematised approach ensures that we deliver the most appropriate solution to your Grounds Maintenance problem. Our ethos is one of total client commitment, ensuring the best possible results through our systematised, holistic approach to project delivery.